For eighty years, students of parliamentary democracy have argued that durable cabinets require majority party government. Lawrence Dodd challenges this widely held belief and offers in its place a revisionist interpretation based on contemporary game theory. He argues for a fundamental alteration in existing conceptions of the relationship between party systems and parliamentary government. The author notes that cabinet durability depends on the coalitional status of the party or parties that form the cabinet. This status is created by the fractionalization, instability, and polarization that characterize the parliamentary party system. Cabinets of minimum winning status are likely to endure; as they depart from minimum winning status, their durability should decrease. Hypotheses derived from the author's theory arc examined against the experience of seventeen Western nations from 1918 to 1974. Making extensive use of quantitative analysis, the author compares behavioral patterns in multiparty and majority party parliaments, contrasts interwar and postwar parliaments, and examines the consistency of key behavioral patterns according to country. 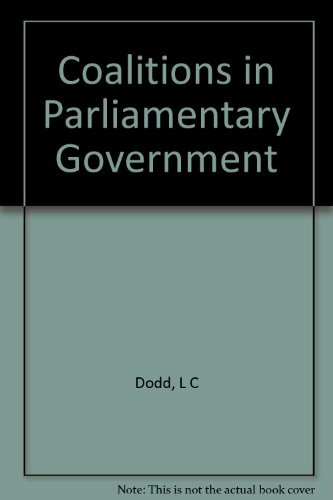 He concludes that a key to durable government is the minimum winning status of the cabinet, which may be attained in multiparty or majority party parliaments.